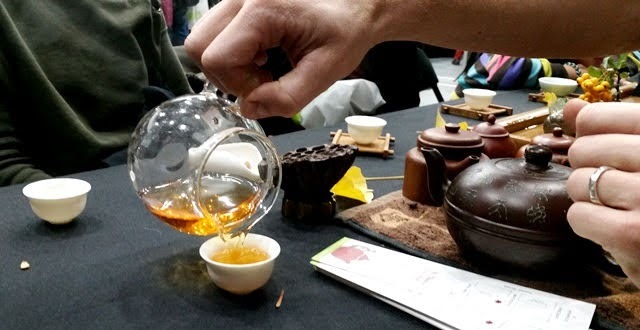 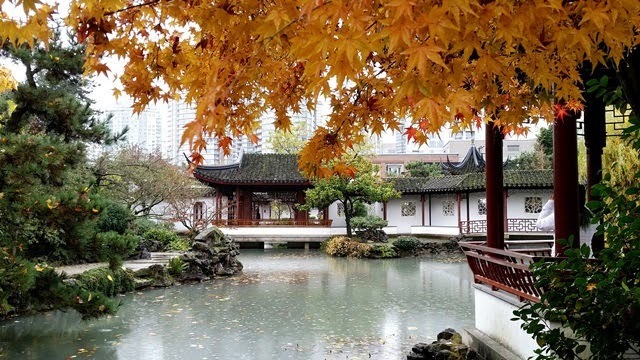 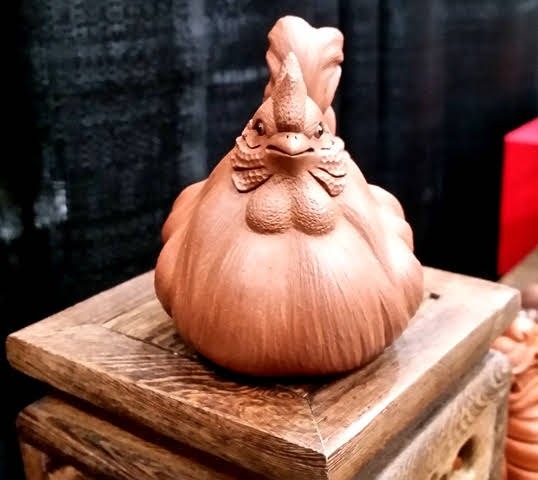 The 5th annual Vancouver Tea Festival was held on November 3rd and 4th at the Chinese Cultural Centre of Greater Vancouver and Dr. Sun Yat-Sen Classical Chinese Garden. 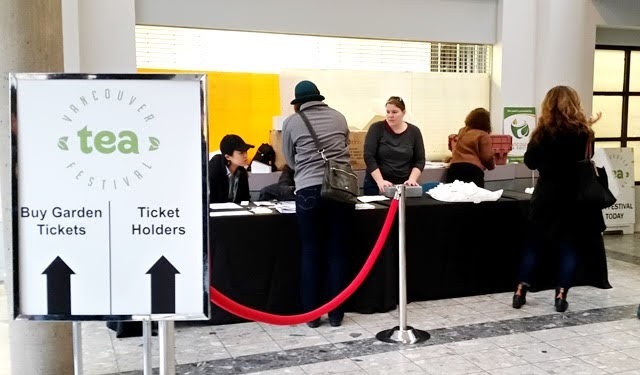 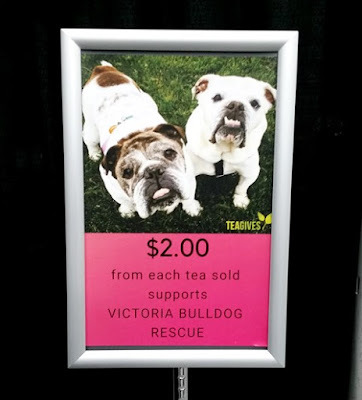 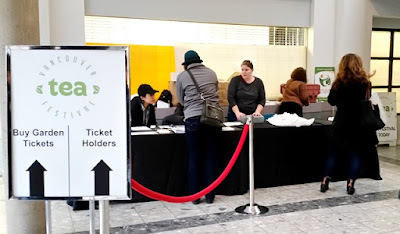 Vendors and complimentary tea tastings were housed in the Chinese Cultural Centre with the ticket booth located just inside the lobby. 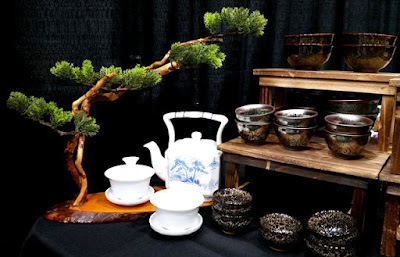 While the Vancouver Tea Festival is still relatively small, the variety of teas and teaware available for purchase was definitely impressive. Festival attendees who were unable to attend one of the premium tasting sessions or simply wanted to take a tea break could visit the gongfu cha tables where a rotating lineup of hosts kept the tea pouring and the conversation lively. 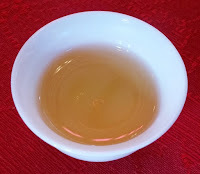 I dropped in for some delicious Dongfang Meiren prepared by Adrian Sinclair. 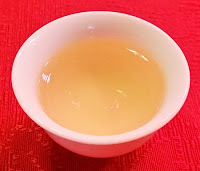 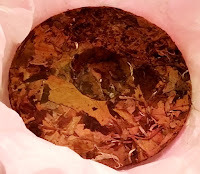 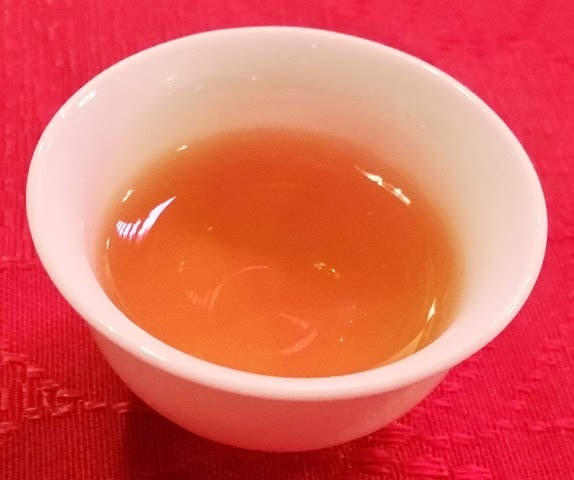 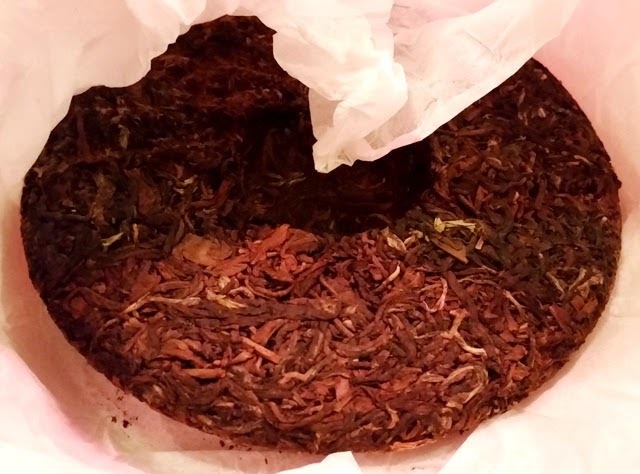 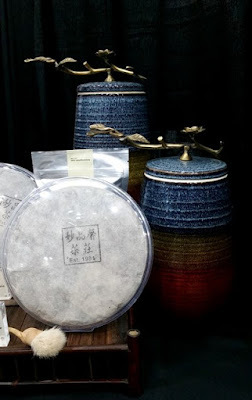 I also want to give a shout-out to Charles and Laurie Dawson who let me sit in on a comparison of two smoky teas, Zheng Shan Xiao Zhong and Yan Xun Xiao Zhong. 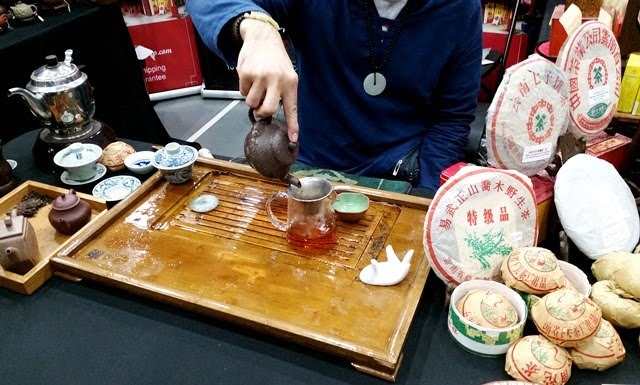 Along with the gongfu cha tables and the premium tasting, the complimentary tea tastings provided by festival vendors ensured that our cups were rarely empty. The first day of the festival was cold and rainy which is fairly typical for November in the Pacific Northwest. 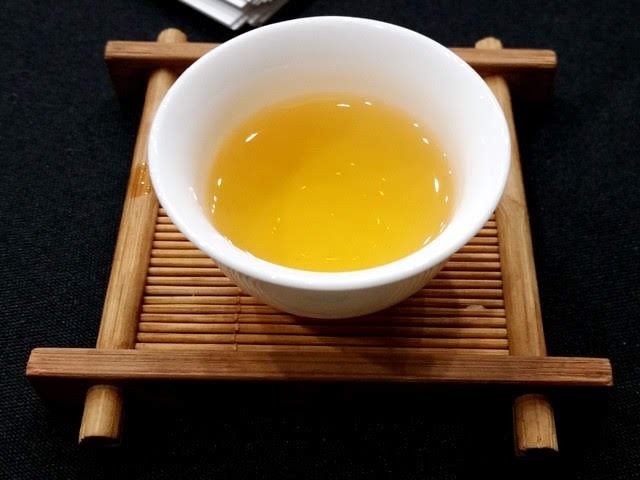 After warming up in the vendor room, I strolled through the garden and admired the way the autumn leaves seemed to pop out against the grey sky before making my way to the Scholar's Study to warm up again with a tea tasting session. 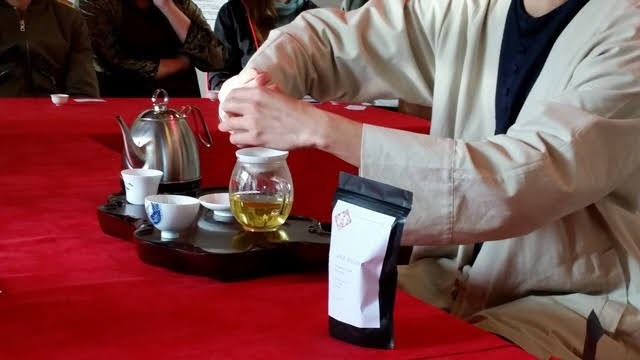 Forest presented a tasting and comparison of two teas using the same material from an approximately 300 year old tree in Mengku, Lincang (Yunnan) yet processed differently. 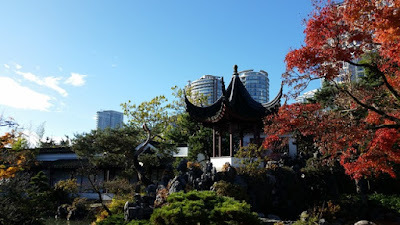 The sun was out and the sky was clear for the second day of the festival. 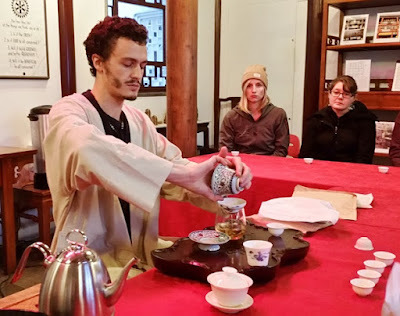 Following another stroll through the garden and a visit to the vendors room, I closed the day with one more tea tasting session in the Scholar's Study. 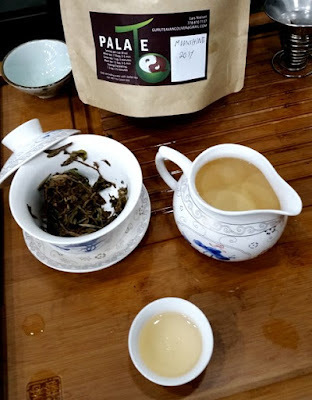 Forest led us through a tasting of two Taiwanese oolongs, a lightly oxidized oolong from Li Shan from 60-70 year old bushes growing at an elevation of approximately 2100 meters and a more heavily oxidized oolong from Taitung. Wulong (oolong) translates to black dragon and is likely a reference to the tradition of heavily roasting oolongs. Thanks to everyone for making my first Vancouver Tea Festival experience so enjoyable!